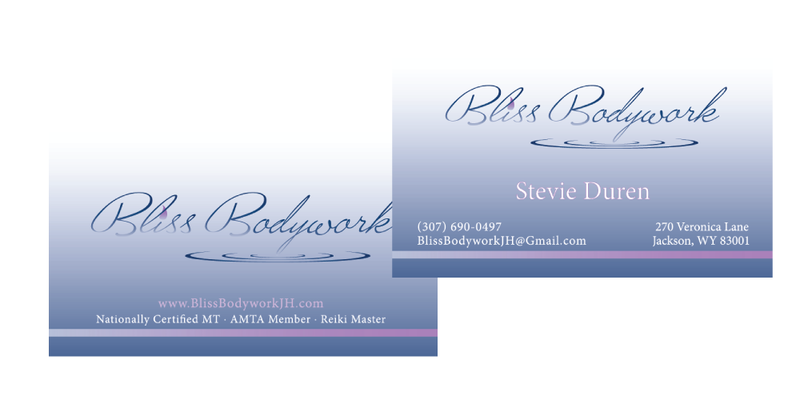 Bliss Bodywork wanted help evoking what services they offer with a soft, comforting and fresh look. 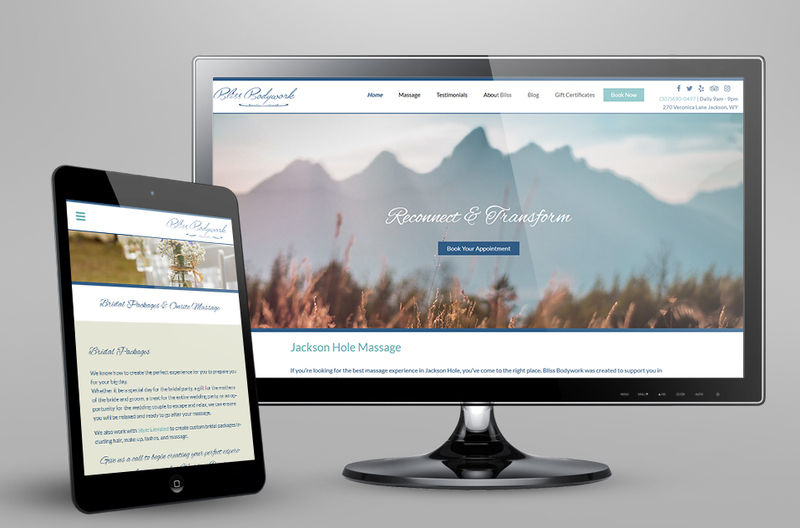 We designed their logo, business cards, and table tents to best unify Bliss Bodywork as a healing center in the Jackson Hole area. Most recently we’ve redesigned Bliss’s website with a more updated and beautiful design.